Rainy Days - but still so much FUN in Asheville! Sometimes mother nature has other plans for us and rain can really put a damper on an otherwise lovely day. 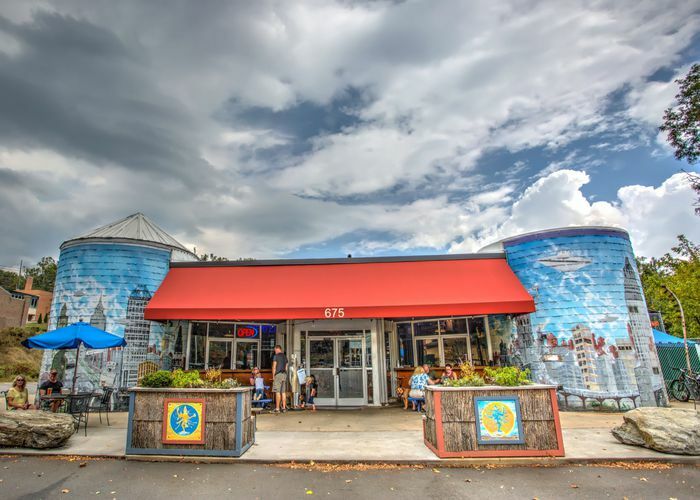 While the outdoors is synonymous with Asheville, there are plenty of unique indoor sights and activities in and around the area to keep you warm, dry and entertained on those days that wet weather causes you to change your itinerary. Explore America’s largest home with a self-guided and guided tours of this luxurious family 250-room chateau, completed in 1895, is as beautiful today as it was more than a century ago. The self-guided tours of the house are included with admission and spans three floors, basement, the gardens and also gets you free wine tasting at the winery. You’ll see displays of vintage clothing, accessories, art, furniture, and more that illustrate the lives of the Vanderbilt family. If the rain doesn’t come down too hard, be sure to walk the gardens. A marvel of horticulture and style, it is America’s first managed forest. Walk by the French Broad River, through lush green forests, the open meadows of Deer Park or the miles of paths through manicured gardens. Also, be sure to visit the gift shops, tour the winery and enjoy a variety of restaurants at Biltmore Village, located across from the entrance to the estate. Ticket prices vary from $45-$75 depending on the season as do hours so be sure to check the website for more information. Who doesn’t love the classic rainy day activity of a meal and a movie? At Asheville Pizza & Brewing Company you get that in one place plus more! Located on the north side of town, this cinema and draft house is the perfect spot to spend a few hours, with lots of food, beer, movies and a game room. It’s kitschy with movie art painted all over the walls, a really fun place to enjoy pizza and beer. In downtown Asheville, you’ll find the palatial Grove Arcade. A historic shopping district filled with great hopping, restaurants, wine and more, all inside of a beautiful, historic building. Choose from hundreds of offerings from tapas restaurants and souvenir boutiques, to jewelry stores and salons. A glass of wine, a little light shopping and a tasty meal is enough to wish the sun away for another day! Looking to be at one with nature without getting soaked? 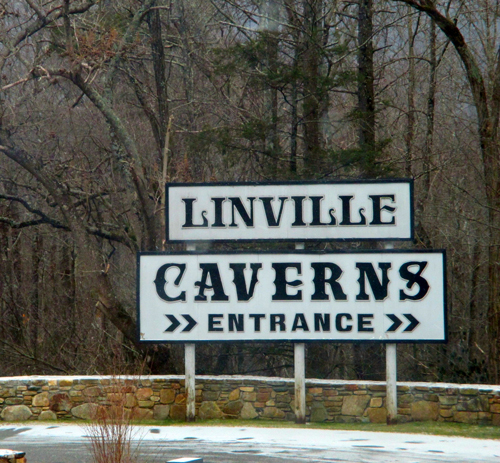 Located at the southern gateway to western North Carolina’s High Country region, Linville Caverns is an ideal destination for visitors of all ages. The drive alone is lovely, taking folks to the mystery within Humpback Mountain. A fun way to explore what nature can create inside a mountain, experienced guides take you into the subterranean world to learn all about how caverns came to be. In winter, the caverns are only open on weekends. Spring through Fall, however, the caverns are open daily and $8.50 for adults and $6.50 for children ages 5-12. The Thomas Wolfe House, also known as the Thomas Wolfe Memorial, is a state historic site, historic house and museum is located in the heart of downtown Asheville. The museum is the preserved childhood home of the author, Thomas Wolfe, writer of Look Homeward, Angel. Considered by many to be one of the giants of 20th-century American literature, the house is a fabulous look into his formative years and inspiration for his work. The house itself retains most of its original furnishings, and there is also an adjacent museum and visitors center that highlight Wolfe’s life and work. Closed on Sundays and Mondays as well as State and major holidays, admission is $5 for adults and children under 6 are free. 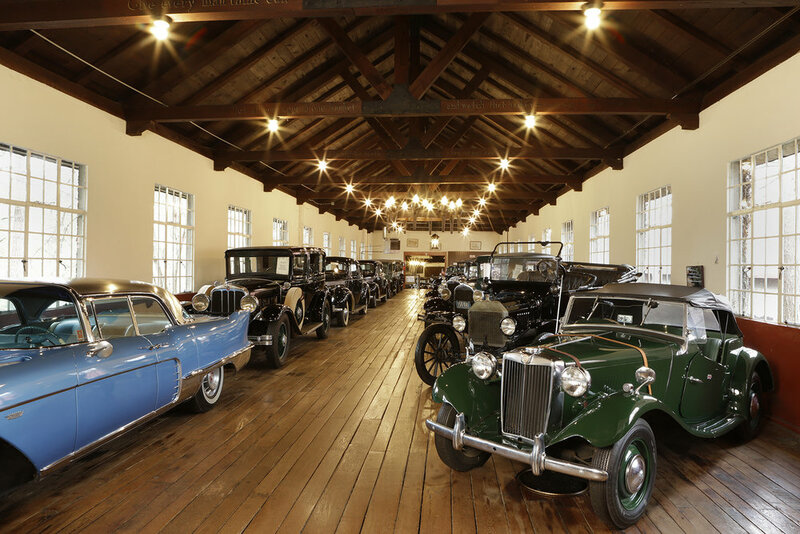 Humble, rustic museum featuring running-condition, rare vintage vehicles & a moonshine still. Established in 1966 by Harry Blomberg, founder of Harry’s on the Hill – the oldest family-owned car dealership in Asheville. The rustic museum is home to several vintage cars, including a rare 1957 Cadillac Eldorado Brougham and Asheville’s own American LaFrance fire engine. Plus, visitors can take a gander at an authentic moonshine still. Closed January-March, once spring has sprung, the museum is open daily and best of all, it’s free! 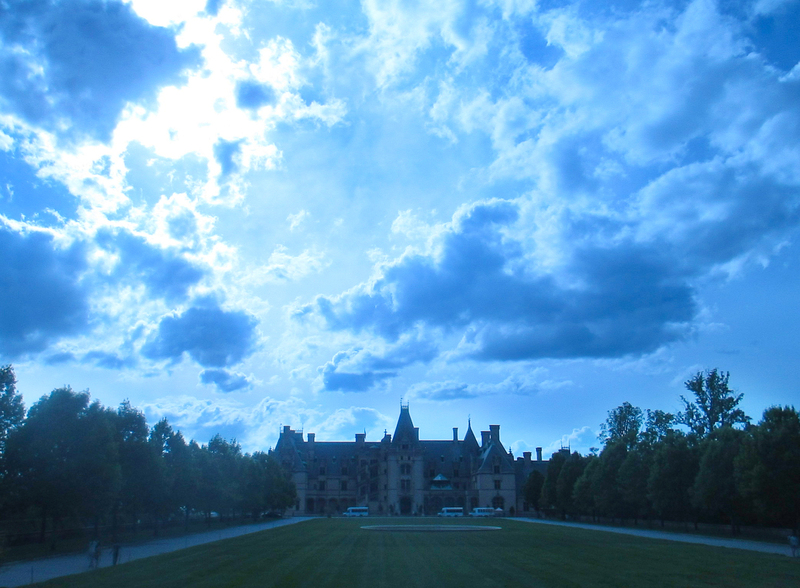 Take a rainy day off, a la Ferris Beuller style and head over to the Asheville Art Museum. Boasting a collection of American art from the 20th & 21st centuries, plus art-related programs for all ages, it is It is the only organization of its kind providing cultural and educational experiences for residents and visitors to the 24 county region. The museum is closed on Mondays, 10am-5pm Tuesday-Saturday and 1pm to 5pm on Sundays and you guessed it, it’s free! Located on the north side of town, Grove Park Inn and Spa features great dining, shopping, a world class spa, sports complex, gold course and is always decorated beautifully for the holidays. This elegant resort has something for everyone be you solo, a couple or a family. Relax, rejuvenate and restore at the spa or send the kids to the Omni Kids Crew, dine at one of 4 award winning restaurants, pump some iron at the gym or work out that credit card in either of the 2 shopping promenades, it’s all there at Grove Park Inn. Where can you enter a museum and be able to play with what’s inside? 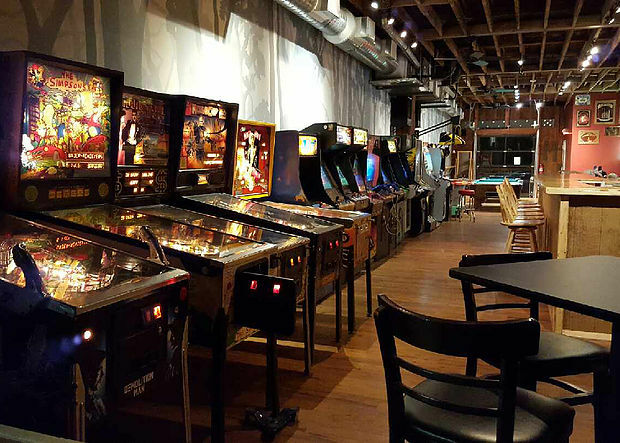 At the Asheville Pinball Museum, you’ll find more than 75 vintage pinball machines as well as video games along with a variety of pinball memorabilia for visitors to try out for themselves. 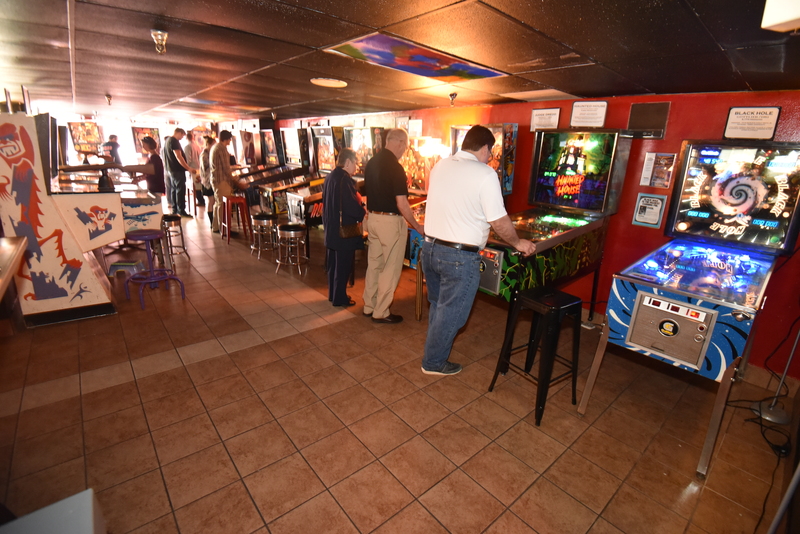 Visitors can purchase an unlimited session of pinball with over 30 machines to choose from. Closed on Tuesdays to spruce up the games, Wednesday through Sunday adults get in for $15, kids 10 and under get in for $12. Admission gets you in and also gives you unlimited game play, token free! Check out the Asheville Retrocade too! "Over 5000 Video Games, Pinball, Billards, Skeeball, Foosball, and the best in Retro Music all day till 2am for Only $10! That's right, from Open till Close Unlimited Play for only $10! We Offer the Best Selection in Local Craft Beers, Wine, and Coke Products. Chill out on our Outside Deck and Patio Area. Over 200 pieces of Beer Memorabilia Dating Back to the 1930's. So Come, Take a trip back in Time With Us, At the Retrocade!"